It's always nice to watch a butterfly flutter by. To flutter means ‘to wave or flap about’ and, if we are talking about birds or other winged creatures, ‘to flap the wings or to fly flapping them.’ Generally speaking, to move in quick and irregular motions is also to flutter and so is to follow an aimless course. If a heart flutters, it means it beats quickly. As a noun, a flutter is fluttering movement, and also a state of excitement or agitation or a sudden commotion. The flag fluttered in the breeze. A moth fluttered around the light. I watched my mother in the kitchen, her hands fluttering as she moved from one task to the next. The fall leaves were fluttering down from the trees. When he saw Charlotte, Adam's heart began to flutter. I saw a flutter from the corner of my eye and turned to see that a butterfly had landed on the table. Everyone was in a flutter about the important visitor. Flutter dates back to before the year 1000. The Old English verb floterian, and later the Middle English floteren, emerged as a frequentative of the Old English verb flotian (to float or rest on the surface of the water). 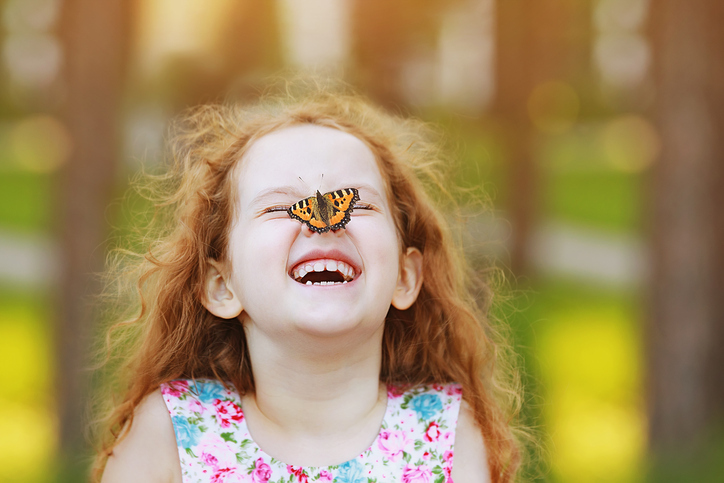 It originally meant ‘to flutter’ (usually about birds), ‘to fly before something,’ ‘to flicker,’ ‘to float to and fro,’ and ‘to be tossed by waves.’ Flutter can be traced back (through float) to the Proto-Germanic flotan and the Proto-Indo-European root plud-, and extended form of the root pleu– (to flow). It is related to the Old Norse flota, the Middle Dutch vloten, the Old High German flozzan and the German flössen (all meaning float), as well as the Greek ploein (to float, swim) and plein (to navigate), the Latin plovere (to rain), and English words such as fleet, flight, flood, flow and fly. The sense ‘to throw someone into confusion,’ appeared in the mid-17th century. The noun, meaning ‘a quick, irregular motion’ dates back to the mid-17th century, while the figurative sense ‘a state of excitement’ appeared in the mid-18th century.